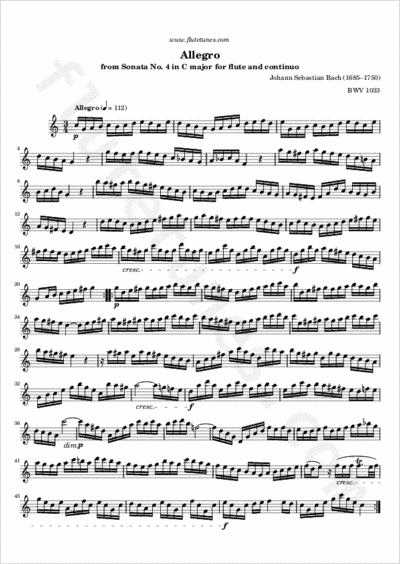 This Allegro is the second movement of Bach's Flute Sonata No. 4 in C major. It is a bright perpetual-motion-like piece with a chugging harpsichord accompaniment. The first theme, played twice, is answered by a related tune, which is also repeated.